Hey hey hey guys! Do you know what time it is? 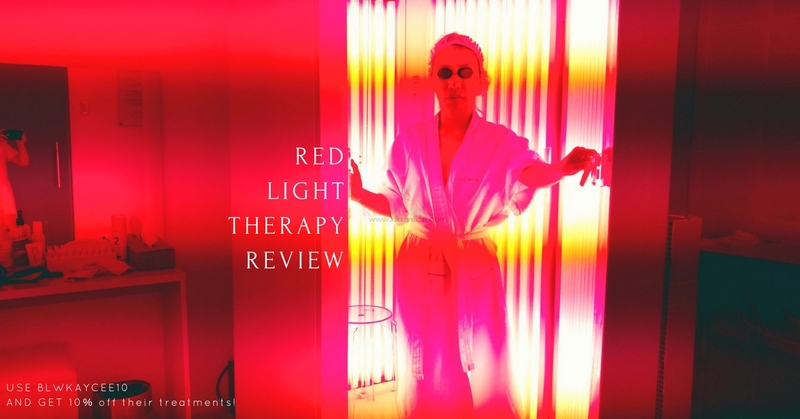 It’s time for another collagen review! 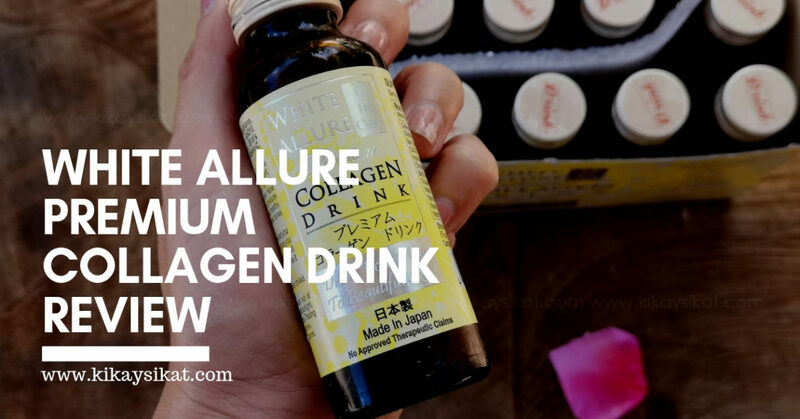 Today we’ll be featuring White Allure Premium Collagen Drink from Magic Potions Beauty Shop. So based from what I’ve saw, heard, and read. 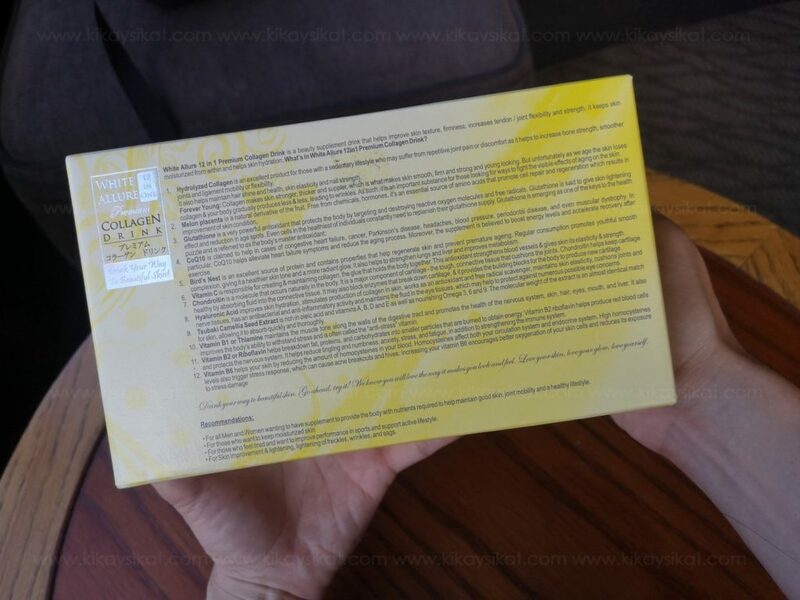 White Allure Collagen Drink promises visible effects in as early as 10 days! Was it really true? I had to try it for myself! As not to waste my efforts I even vlogged it on KikaysikaTV. See for yourself! White Allure 12 in 1 Premium Collagen Drink is a beauty supplement that promotes a translucent, lustrous and even-toned complexion. It can reduce wrinkles, create firmer, smoother more radiant skin. It strengthens nails and produce thicker and stronger hair. 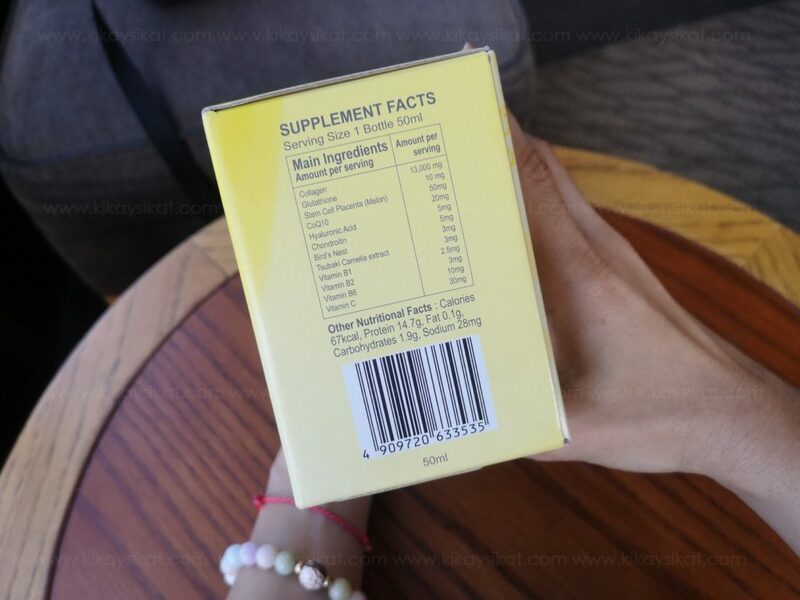 It regenerate healthy skin tissues and helps maintain healthier bones and joints. 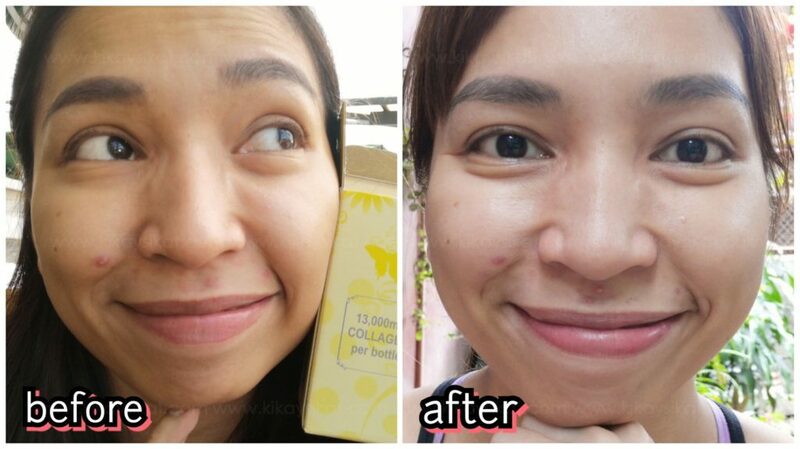 Ngayon ko lang na-realize how fast and effective white allure’s Collagen Drink is after watching my 10 day Challenge. From dull and flat nag transform into rosy and radiant. 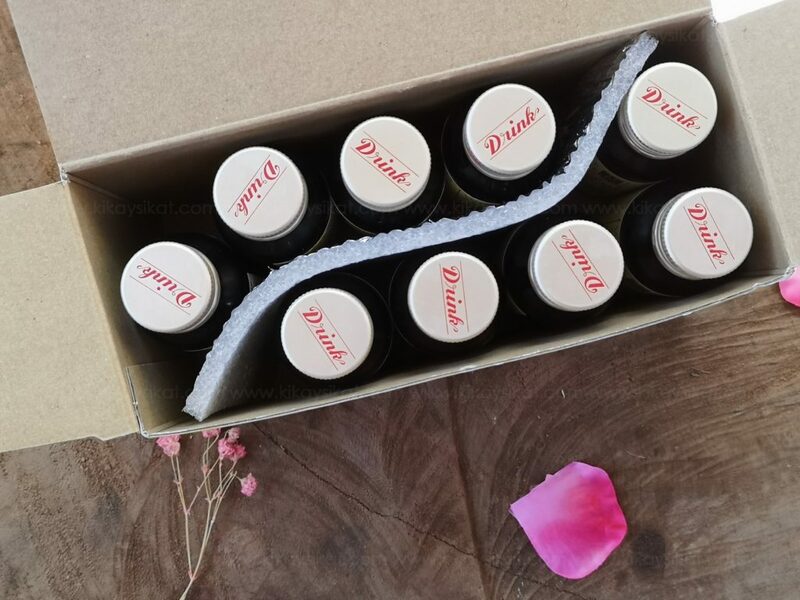 Packaging – It comes in dark amber glass bottles with a twist-off metal cap. I prefer drinking it at home vs bringing it with me because I’m afraid the bottle might break during travel. But during days I need to travel, I realized that the bottle comes in handy and it’s more durable than I initially thought. 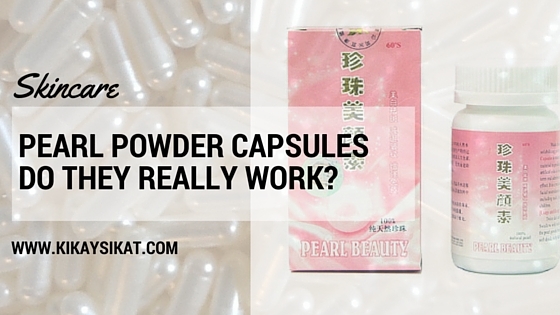 Ingredients – It’s loaded with 13,000mg of collagen. One of the highest concentrations in the market (if not the highest). 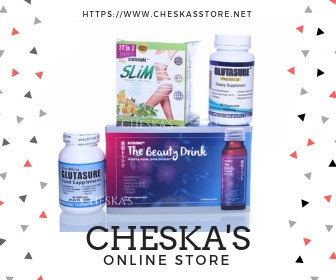 Coupled with CoQ10, Glutathione, and Vitamin complex among others. Dosage – Drink 50ml bottle in the morning or before going to bed. It’s okay to take this on an empty stomach. There’s no side-effects. Taste – Not the best in the flavor department, but definitely not the worse. It’s palatable enough to finish in 1 quick gulp. I recommend taking this chilled. They said it’s pineapple flavor but sometimes I taste peach-mango. Sadly it didn’t do anything to help with my cystic acne problem around the mouth and nose area. So I’m still in the quest for either a topical, or an internal remedy for that. But overall, White Allure Premium Collagen is one of the best I’ve tried. It’s a bit pricier compared to other brands but it’s definitely worth it.